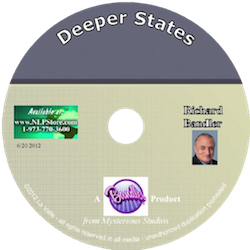 Recorded live at a Trainers Training, this hypnosis cd teaches you what determination can be. 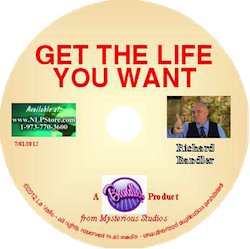 Excellent motivational product. Another live performance by Richard Bandler and the Medicine Show, combining their unique skills to install a "will of steel" and the "eye of the eagle" in each listener. 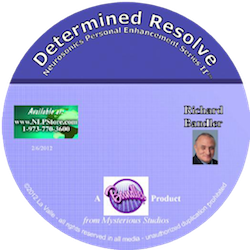 This nlp cd builds the attitude that leads to success in all things via determination and fierce resolve that says, "We can do this easy, we can do this hard, but we ain't gonna do it slow!" Music, sound effects, and multiple vocal induction all make this both an evolutionary change cd and an nlp adventure in itself.